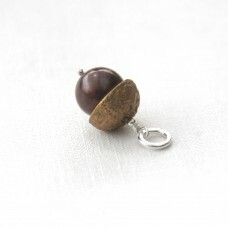 A simple Acorn Charm - the symbol of life, strength, power and good luck! 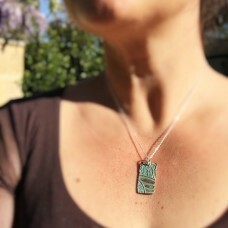 Made from Bronze, Sterling.. 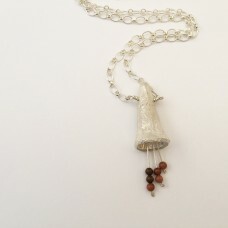 This necklace is a truly quirky and unique piece of jewellery! It is a process that takes about 3 mo..
A very beautiful array of colours that give this gumleaf a natural and striking look. 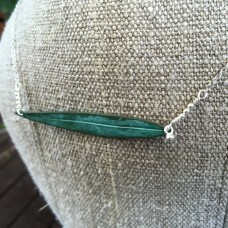 The different ..
A long Necklace in Sterling Silver and Bronze, featuring a gorgeous bird in his calming green sanctu..
A long Necklace in Sterling Silver and Bronze, featuring a gorgeous bird in his sanctuary! Each one .. 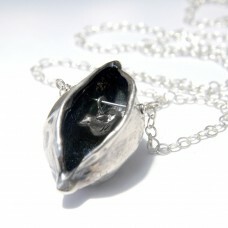 This funky pendant on a ball chain necklace is part of the bohemian chic range. The round disc has a.. 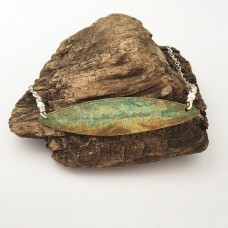 This gum leaf is replicated in bronze and finished with deep green and turquoise patina. 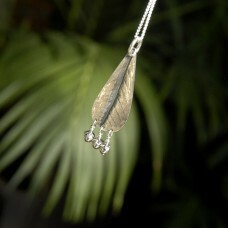 The little ..
An elegant and classic leaf pendant necklace. 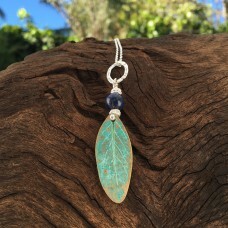 The leaf was cast in bronze from a real leaf and layer..
A stunning turquoise petal reconstructed in bronze by hand. 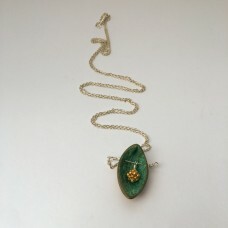 Inside an elegant gold plated silver dan..
A stunning turquoise petal reconstructed in bronze by hand. 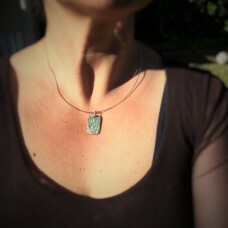 Inside a beautiful artisan made silver d.. 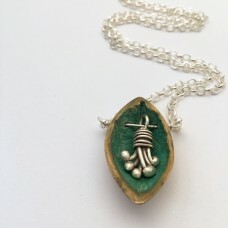 This funky bronze pendant on a cable chain necklace is part of the bohemian chic range. The rectangl.. 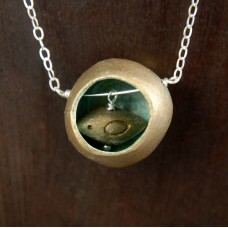 This funky bronze pendant on a sterling silver pentagon snake chain necklace is part of the bohemian.. 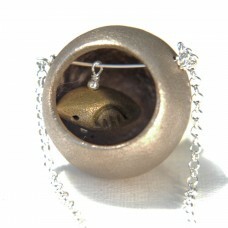 This elegant new piece is another variation of the Bushy Yate Bell that was cast into sterling silve..
A very new design. 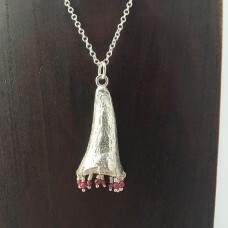 This quirky and solid piece was made using the art of lost wax casting, whereby a..
Are you a desert rose?! 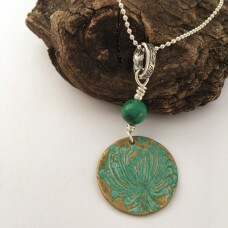 Items comes in a recycled gift box with our own hand stamped cute design, co..